Delegate Kathy Tran joined the Virginia House of Delegates in 2018 and represents part of Fairfax County. As a candidate, she took the Activate Virginia pledge, refusing campaign contributions from Dominion Energy and Appalachian Power. As a delegate, she has maintained her principled stance against taking money from regulated utility monopolies and has introduced legislation to ensure those utilities are working for all Virginians. She was the chief patron of a bill that repealed the program cap on net energy metering, which would have opened up Virginia’s market to increased renewable energy and of another bill that authorized municipal renewable energy net metering projects. She also voted against SB 966, the “Grid Modernization Act” which failed to mandate solar energy production and green lit expensive gold-plating projects that would raise electricity bills. 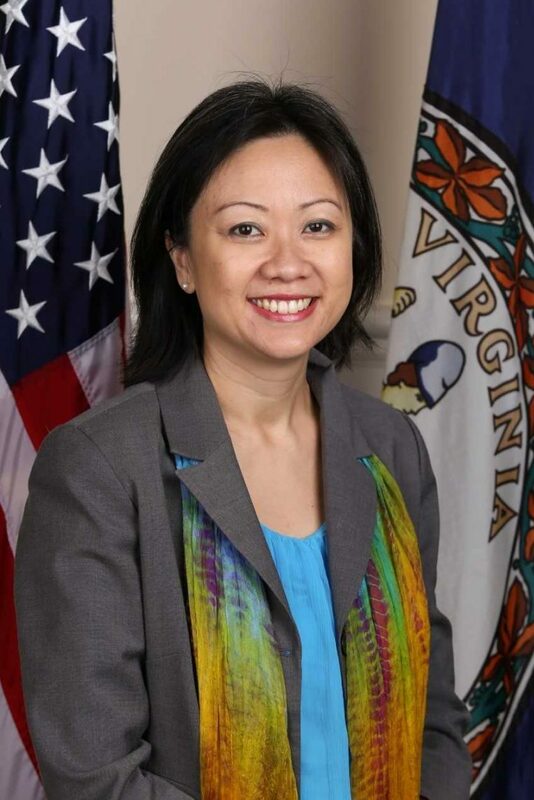 Delegate Tran worked across the aisle to co-patron two pieces of legislation with bipartisan support, one that established the executive branch position of Special Assistant to the Governor for Coastal Adaptation and Protection, and another that prohibited the personal use of campaign funds. Both bills passed the House, and the former passed the Senate and was enacted by Governor Northam.